Go to original pattern for design DROPS 173-33. 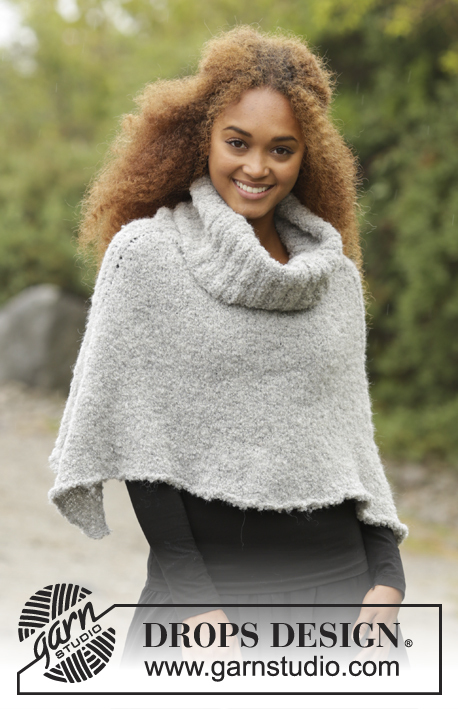 Knitted DROPS poncho with turtle neck, worked top down in ”Alpaca Bouclé”. Size: S - XXXL. 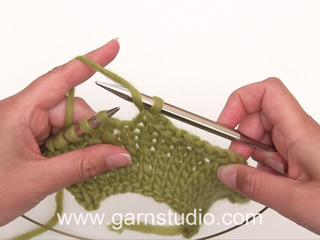 DROPS CIRCULAR NEEDLE (40 and 80 cm) SIZE 5 mm - or size needed to get 17 sts x 22 rows in stocking st = 10 x 10 cm. 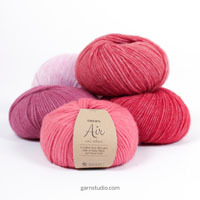 You can get the yarn to make this pattern from	15.00£. Read more. ROUND 1: K until 1 st before 2nd marker, 1 YO, K 2 (marker is in the middle of these 2 sts), 1 YO, K until 1 st before 3rd marker, 1 YO, K 2 (marker is in the middle of these 2 sts), 1 YO and K the rest of round. ROUND 2: K all sts, K YOs to make holes. 1 ridge = 2 rounds. * K 1 round and P 1 round *, repeat from *-*. Worked in the round on circular needle, top down. 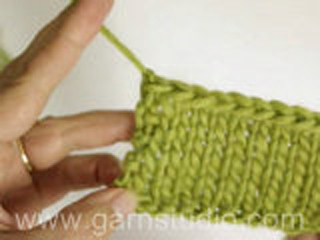 Cast on 100-104-108-112-116-120 sts on a short circular needle size 5 mm with Alpaca Bouclé. Work rib K 2/P 2 until piece measures 30 cm. Work 1 ridge in GARTER ST - see explanation above and insert markers in piece as follows on first round: Insert 1st marker at beg of round = mid back, work 25-26-27-28-29-30 sts, insert 2nd marker, work 50-52-54-56-58-60 sts, insert 3rd marker and work until 1st marker. Then work in stocking st while inc on every other row until finished measurements - READ INCREASE TIP above. 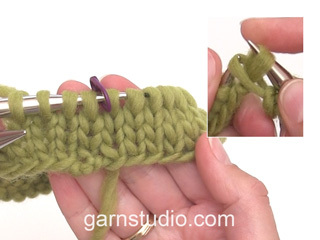 REMEMBER THE KNITTING TENSION and switch to a long circular needle when needed. 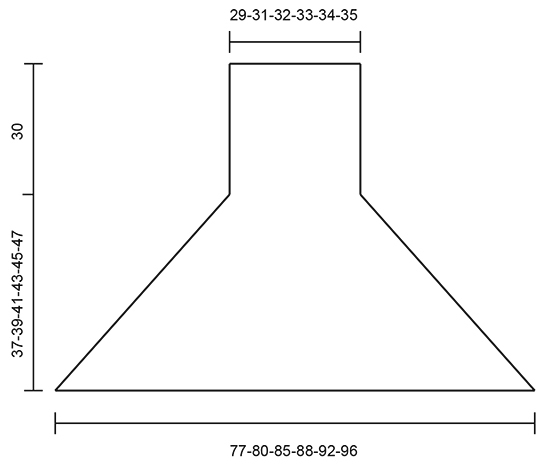 Work until piece measures approx. 37-39-41-43-45-47 cm measured from 1 marker (= mid back) and straight down. On next row K and loosely cast off with double yarn. 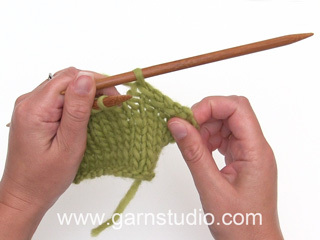 To avoid a tight edge you can use a larger needle or make a YO that is cast off approx. every 3rd st, the edge should not be tight. Fasten off. Buongiorno, dopo lo scollo a coste e la costa legaccio in quale posizione vanno effettuati i due aumenti nella maglia rasata? Buongiorno Claudia. Deve aumentare prima e dopo il secondo e terzo segno inseriti nel lavoro, seguendo le indicazioni del suggerimento per gli aumenti, che trova all’inizio delle spiegazioni. Buon lavoro! Hei! Haluaisin hieman tarkennusta ohjeeseen. Olen tekemässä S-kokoista ponchoa. Silmukoita on alussa 100. Mihin silmukkamäärään päädytään kun lisäykset ovat valmiit? Kiitos vastauksesta! Silmukkamäärä riippuu siitä miten monta kerrosta neulotaan. Mikäli neuletiheytesi vastaa ohjeen neuletiheystä, silmukoita olisi lopuksi n. 260-264. I love this poncho. To me it looks so 'snug' which is why I called it that name. 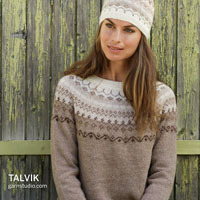 I feel the cold around my shoulders and neck... this is so easy to wear. I would love the pattern. by the way I'm from Australia! Love this. Looks very comfortable.